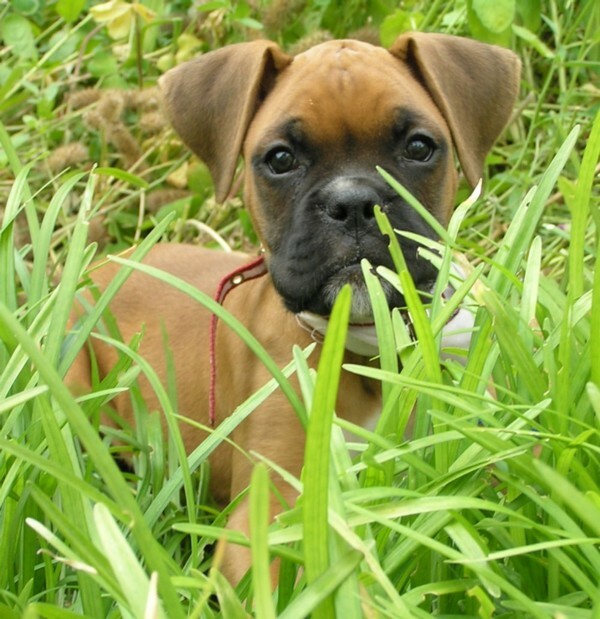 Tips and articles on how to capture a friendly dog. Never underestimate a dog’s ability to survive – even a senior dog. 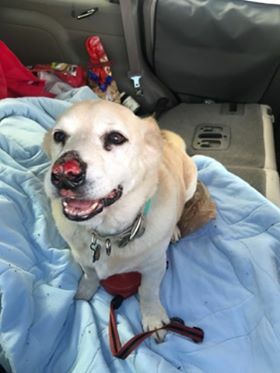 Stuey, a 12 year old Lab/Corgie, was on a walk with his owner at an off leash park on 1/31. They were just wrapping up their walk when 2 dogs rushed Stuey, quarreled with him and ran him off. Bruce walked and walked calling for Stuey with no luck. He put posters out at the park. Two days went by and nothing. Not being too tech savvy, the owners didn’t know about LDI, NextDoor and didn’t have FB accounts. Someone at the park noticed the sign and posted it on their page. A few days later someone else posted a sighting of a small lab 1.5 miles north. Someone on FB made the match and an LDI fan got in touch with the family to start the process. Stuey was reported to LDI, Animal Services and posted on NextDoor. The owners embraced the process of generating sightings through signs and flyers. A sighting came in but then we hit the cold spell. Temps were -10 and windchills -20+. Another day, no sightings but the owner and helpers kept widening the flyer range… every day but were growing weary. Finally! Wednesday night they got a call that Stuey was seen that morning. Thursday morning the troops went out. Some of Stuey’s tracks were found and through more door knocking, more people reported seeing Stuey. While out flyering, a call came in that Stuey was in a cornfield about a half mile away. The owner and helper rushed to the sighting! Bruce had been coached that Stuey may not recognize him and to get low, use a slow approach and try familiar commands. At first Stuey just looked at Bruce, debating whether or not to run. Bruce kept repeating the commands “want to get in the Jeep”…. phrases Stuey knew. It worked! Stuey snapped out of it and ran right over to Bruce!!! This 12 year old boy lived 8 days in the brutal cold and traveled at least 3 miles overall! He has frostbite on his nose but besides that, he’s in fantastic shape!!! Often owners can’t see their pets living through extreme weather, especially older gentleman like Stuey. Sometimes it’s emotionally easier to assume the worst. As a helper, I understand that. But believe us when we tell you, they are resilient; they are strong; they can make it! Don’t give up. Push on for them! Flyers and Signs get dogs home! 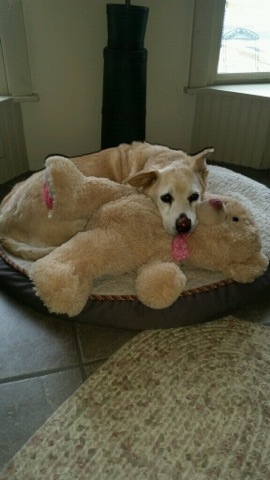 Stuey, at home, resting on his favorite bed and teddy bear. Thank you, Stephanie, for sharing Stuey’s story! This entry was posted in Friendly Lost Dog Strategies, Reunions on February 10, 2018 by Susan. 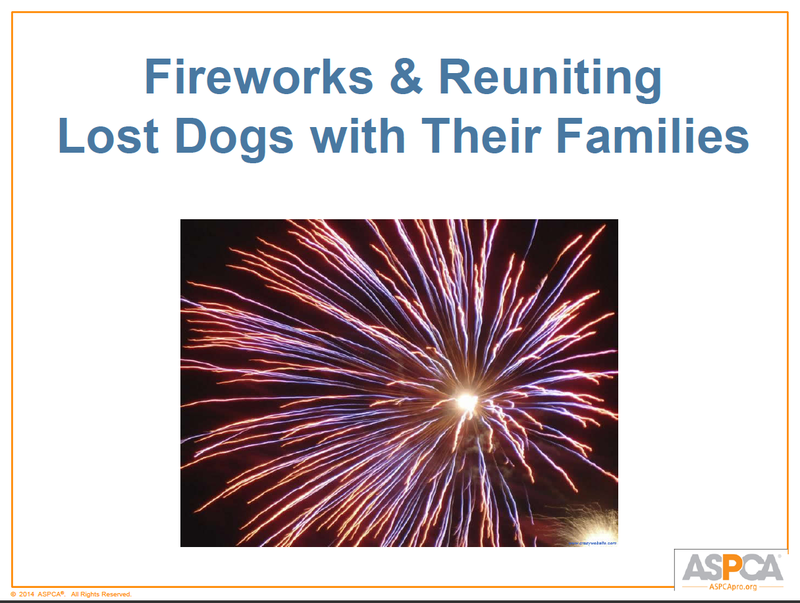 Last year we were honored to present a free webinar for ASPCA Pro that included a lot of helpful information for shelters and owners for dogs that go missing after the fireworks on the 4th of July. Please feel free to share this link. “In preparation for July 4, experts from Lost Dogs Illinois and Lost Dogs of Wisconsin will give you practical advice to offer support, resources, and tips to worried families searching for their lost dogs. Teaching people how to find their lost pets and avoid common mistakes can avoid heartbreak for many people and animals. This entry was posted in Animal Control/Stray holding facilities, Fireworks, Friendly Lost Dog Strategies, July 4th (Fourth of July), lost dogs, Our Organization, Rescues and Shelters, Search Strategies, Shy Lost Dog Strategies and tagged 4th of July, animal control, ASPCA, dogs, Friendly lost dogs, July 4th, lost dogs, Lost Dogs Illinois, lost pets, shy and timid dogs, Stray holding facilties on July 1, 2015 by Susan. As the year draws to a close we are going to ask you to click on this link and to look through our 2014 Missing Dogs Albums one more time. Although we have had an incredibly successful year (over 5,000 reunions so far) we have many dogs that we are still searching for. Thank you for helping us. Please take a few moments, scroll through our missing dog albums, and maybe, just maybe we can help reunite a few more of these dogs in 2014. This entry was posted in Friendly Lost Dog Strategies, lost dogs, Shy Lost Dog Strategies on December 30, 2014 by Susan. 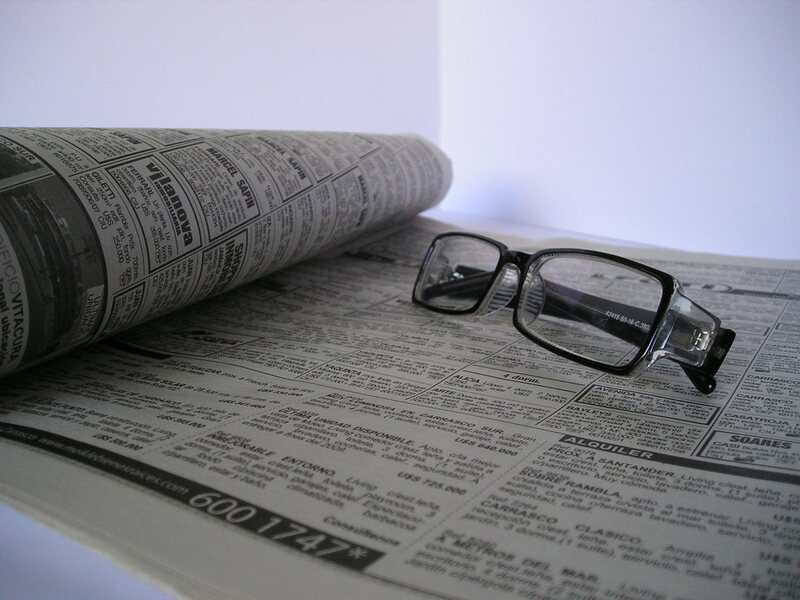 The following is a list of Illinois newspapers per township. Remember that lost dogs can travel far and wide. Don’t limit yourself to just one area. Cover surrounding counties as well. Your dog is depending on you to bring him safely home. 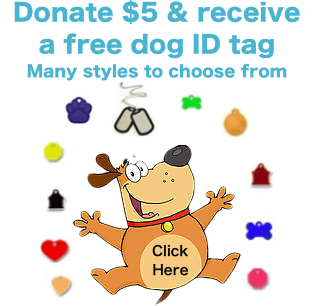 This entry was posted in Friendly Lost Dog Strategies, Search Strategies, Shy Lost Dog Strategies and tagged lost dogs, Newpaper ads on April 9, 2014 by Susan. Even though most people are good-hearted and honest, there is the possibility that you will be contacted by dishonest reward-seekers and scammers when your dog is missing. Just last week, an owner of a lost dog emailed Lost Dogs Illinois (LDI) saying someone had contacted them from out of state, using a disposable calling card, leaving no address or name and ask to be paid a reward. The owner was distraught. Did we think they had their dog? What can they do? Losing a dog is a heartbreaking and we, at LDI, cannot understand why people would be so cruel to defraud lost dog owners. In an article last year, Better Business Bureau (BBB) published the most common scans and how to prevent them. The Pay-Me-First Scam: The lost pet owner receives a phone call from a person claiming that they have the lost pet in their possession. This person asks that the reward money be sent to them before they return the pet. If the pet owner refuses, they will often threaten to hurt the pet in order to pressure the pet owner into sending money. Once the scammer receives the money, they are never heard from again. The Truck Driver Scam: Someone claiming to be a long-haul truck driver tells you that he came across your pet while on his route. He then asks you to send him money so that he can send your pet back to you, or he may ask you to wire him money to board your pet until he can send your pet back with another truck driver who’s heading your way. The Tag Team Scam: You receive a call from someone who says that they think they have your pet. After talking to you for a while and getting information about your pet, they apologize and say that they’re sorry, but it turns out that it’s not your pet after all. They then give all the information about your pet to a partner. This is a set-up — in a short time, the scammer uses the information received about your pet only to have a second person call and claim to have found your pet who will try collect any reward money in advance.. The Airline Ticket Scam: Someone calls and claims that your pet somehow ended up in another state. They ask you to send money for a kennel and an airline ticket in order for them to ship your pet back to you. Once the pet owner sends the money, the scammer walks away with it, leaving the owner without their pet and with less money in their bank account. 1. If you get a call from someone who claims to be out-of-state, ask them for a phone number where you can call them back. 2. If a caller claims to have your pet in their possession, ask them to describe something about the pet that wouldn’t be visible in pictures which may have been posted. 3. Never wire money to anyone you don’t know. 4. Report the scam to your local police. So, we bet you are wondering if the family found their dog? Yes, they did. A Good Samaritan had picked their dog up. 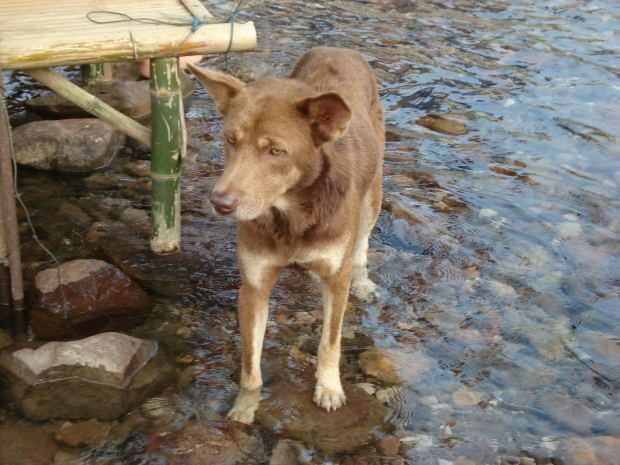 Because of the family’s heavy flyering in the area, they were reunited with their dog. A Very Happy Reunion! 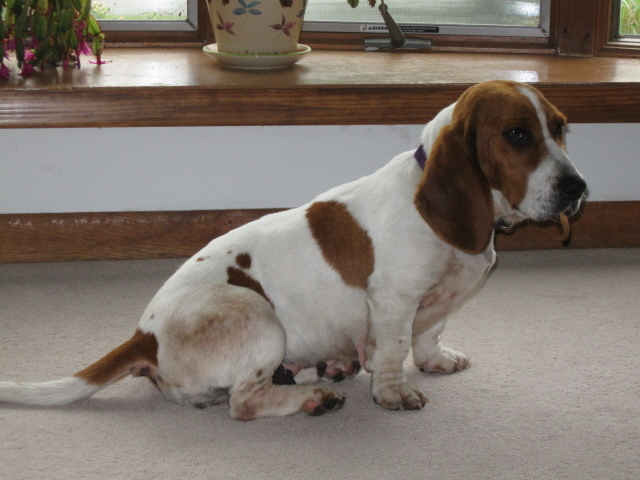 This entry was posted in Friendly Lost Dog Strategies, Rewards, Shy Lost Dog Strategies on June 16, 2013 by Susan. Your lost dog has been missing now for several weeks (or months) and your sightings and leads have fizzled out. Don’t despair. It is never too late to jump-start the search for a long-lost dog. This article is designed to give you some ideas for reigniting your search to give you a place to pick up again. 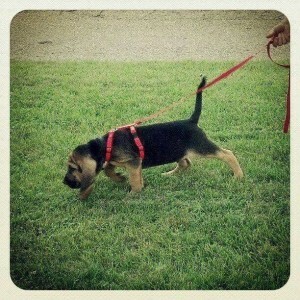 Hopefully, you have read our other articles on shy lost dog search strategies and friendly lost dog search strategies. If not, please check the categories at the right that link to many more articles. We also hope you have mapped all the sightings on a map, either a web-based map like Google Maps or a large-scale paper map. Now, imagine you are a detective working on a cold case. You may talk to 99 people who have not seen or heard anything. You are looking for the ONE person who has. Someone, somewhere has seen or knows something. Be persistent and don’t give up. Even if they haven’t seen your dog, they may see your dog tomorrow. Putting a flyer in their hands ensures they will know who to call when they see him. Look at your map and draw a circle in a one mile radius around the last confirmed sighting. Go back to the last confirmed place that your dog was seen and flyer heavily in a one mile radius. Don’t let false assumptions or geographic barriers deter you. 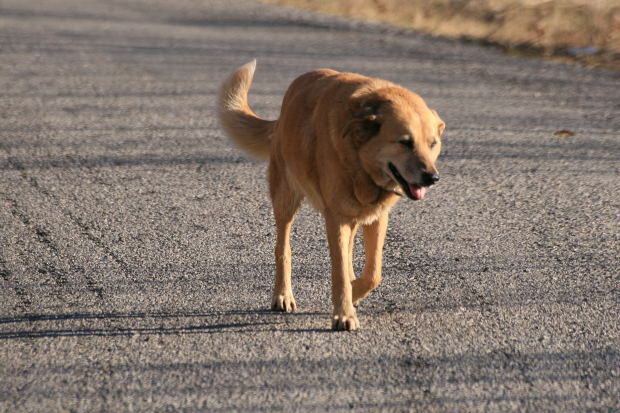 Don’t assume that your dog would NEVER have crossed the highway or the river or the lake. False assumptions will make you miss possible sightings and leads. Talk to everybody! Put a flyer in their hands and ask them if they have seen your dog or if they think a dog may have been hanging around their house or farm. Did they see dog tracks under their bird feeder? Was their dog poop in their yard when it shouldn’t be there? Was their outdoor cat food disappearing faster than normal? Visit EVERY place that serves food in the one mile radius. Don’t forget convenience stores and gas stations! Talk with the kitchen staff and management. Did anybody see a dog hanging out near the dumpsters? Did anybody notice dog tracks near the dumpsters in the winter? Did any restaurant patrons mention a dog hanging out in the parking lot? Did anybody see a similar looking dog being walked in their neighborhood? Think about the demographics of the neighborhoods in the one mile radius. Maybe you need to print some flyers in Spanish or another language? Or, maybe there are some older residents who don’t get out much to see signs and flyers but may have taken pity on your dog and fed him over the winter? Think about the people that may not have seen or understood your first round of flyering. Now is a great time to refresh your posters and intersection signs. You may want to change the heading to STILL MISSING – so that people know that the search is still on. Think outside the box. Ask every business in the one mile radius if you can hang a flyer in their window and employee break room. Maybe your dog approached workers on their lunch break. Or maybe they saw him when they were driving to or from work. If you don’t get any new leads in the one mile radius; you will need to expand your area. You may want to consider using USPS Every Door Direct Mail. Beware of some of the other lost pet mailing services that you will see advertised. Some of them are scams and do not reach the number of homes that they promise. 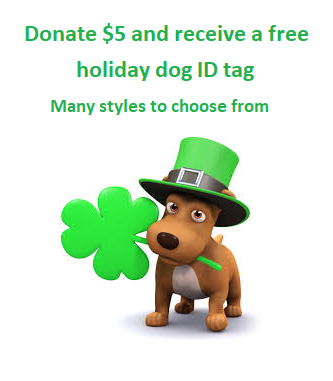 Refresh the memories of the animal control facilities, shelters, police departments, vet clinics and municipal offices in your county and surrounding counties. Send them fresh flyers. Give a new flyer to postal workers, delivery drivers, school bus drivers and garbage truck drivers. Don’t forget pizza and sandwich delivery drivers also! They are out and about in the evening, when your dog may be moving around, looking for food. Check with your local Department of Transportation. Have they found any deceased dogs alongside the road? 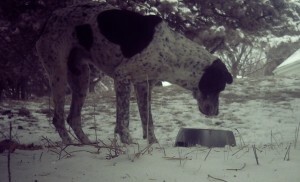 Or has a dog been spotted eating on a deer or other wildlife carcass? Repost your dog on Craigslist and your local online classifieds. Consider taking out a print newspaper ad also. There are still many people without computers or the internet! Remember, Never Give Up! Re-energize and jump start the search for your missing dog. Your dog is depending on you to bring him home. This entry was posted in Friendly Lost Dog Strategies, lost dogs, Search Strategies, Shy Lost Dog Strategies, Sightings and tagged animal control, Craigslist, flyers, Google maps, Helping Lost Pets, intersection signs, lost dogs, lost pets, Newpaper ads, newspaper ads, shy and timid dogs, shy dogs on April 17, 2013 by Susan.